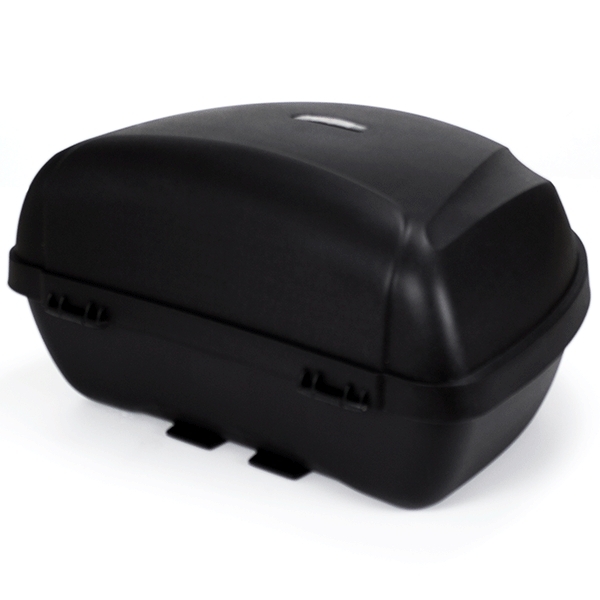 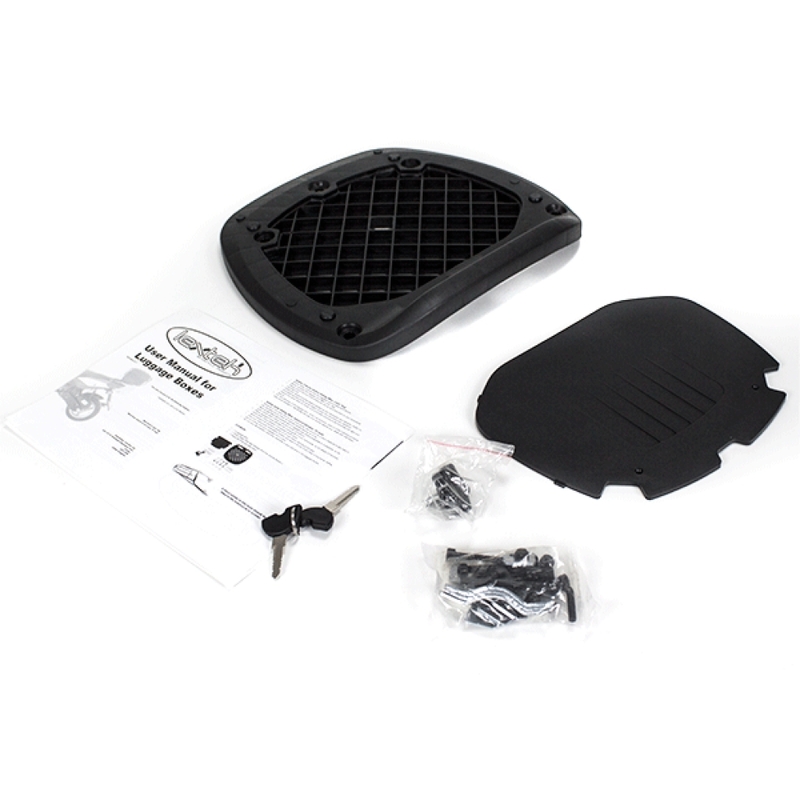 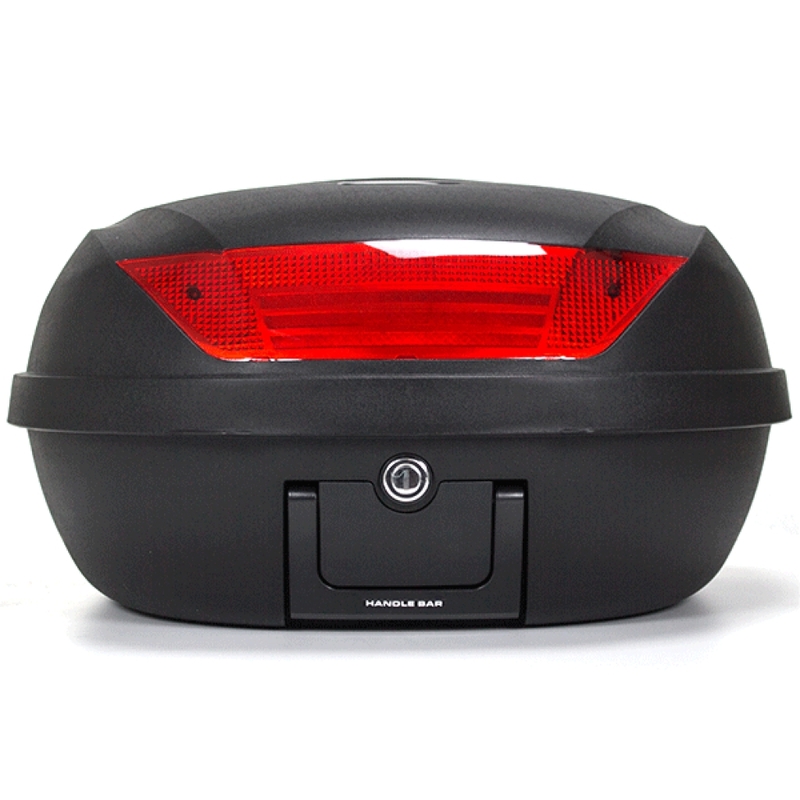 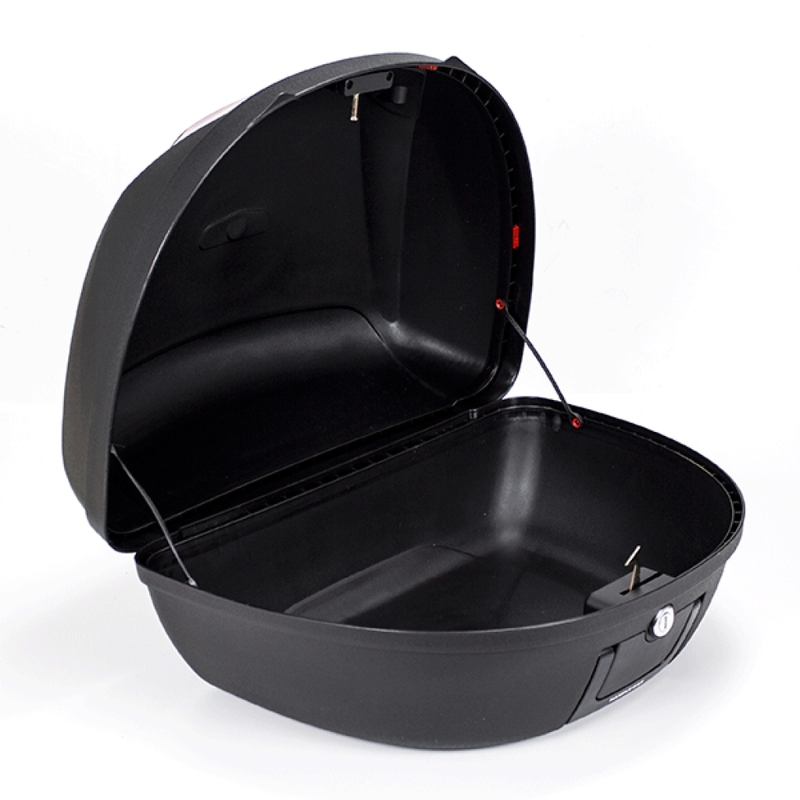 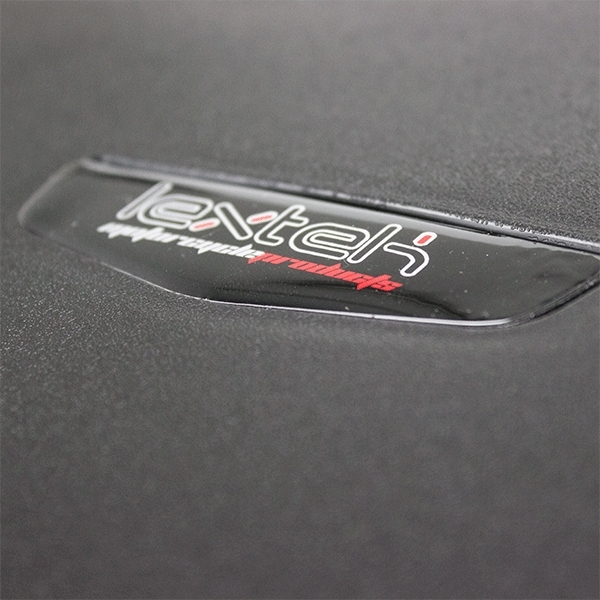 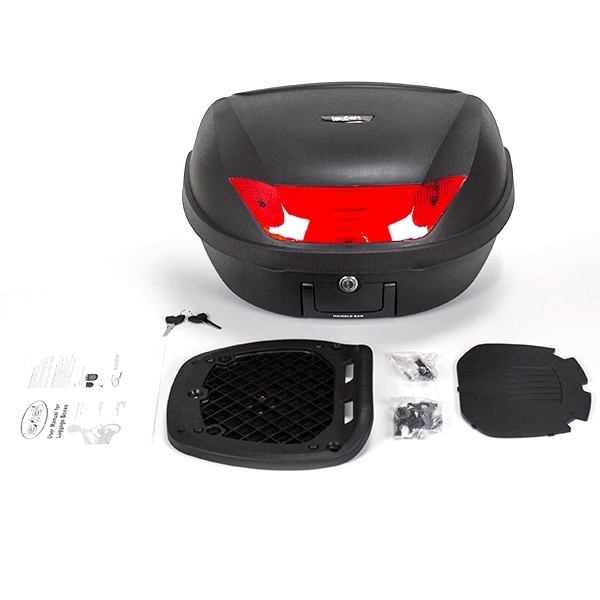 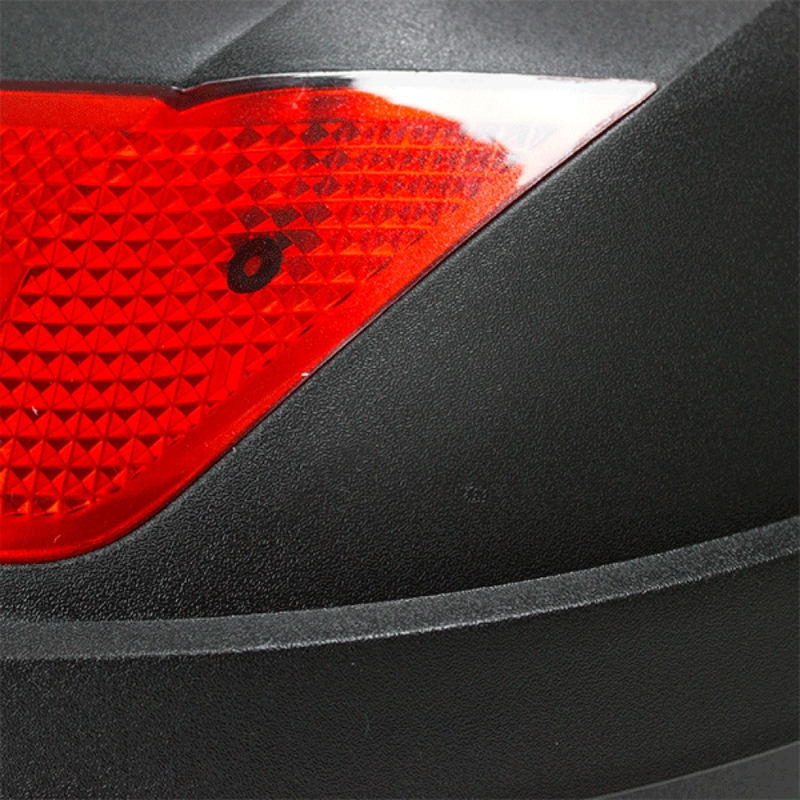 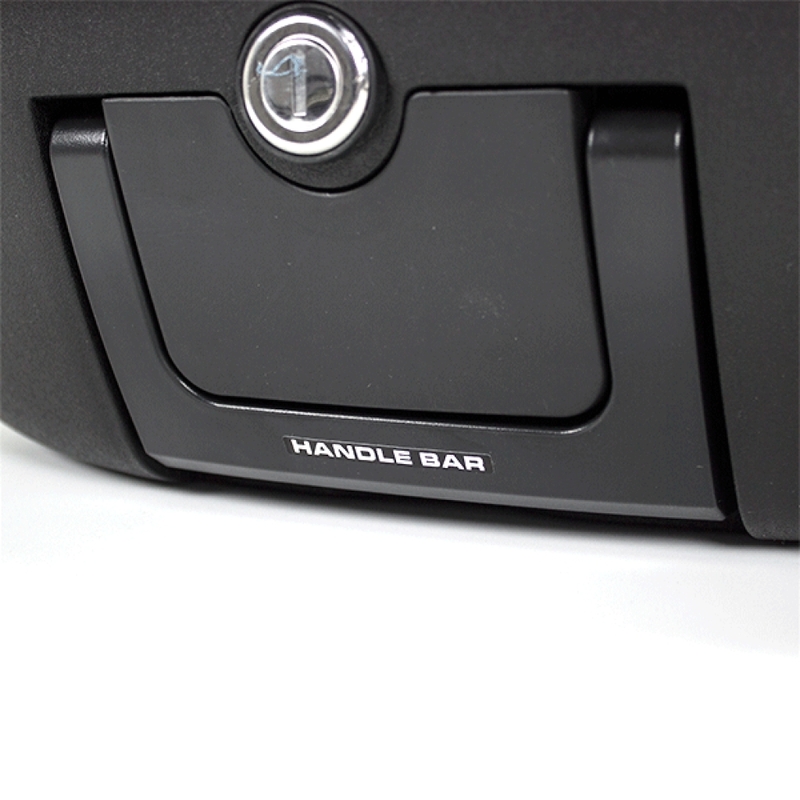 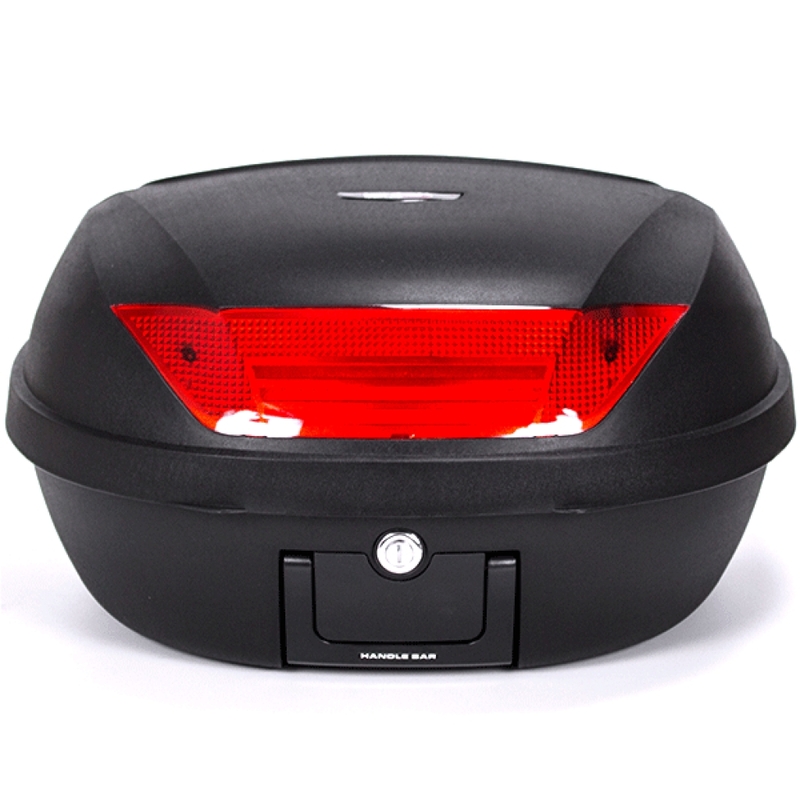 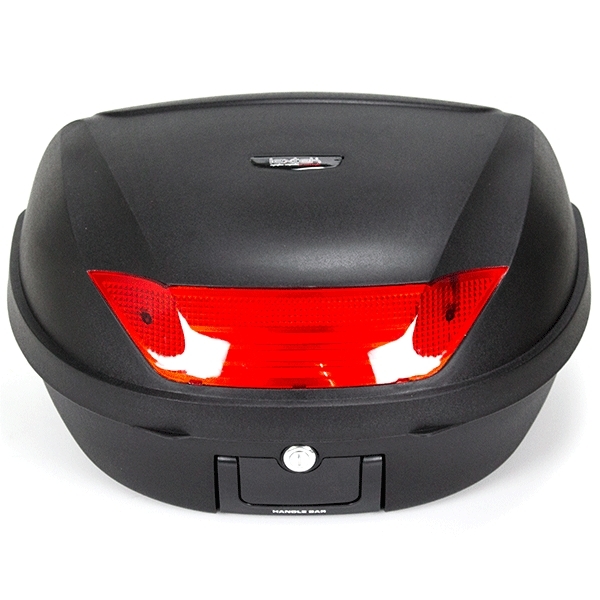 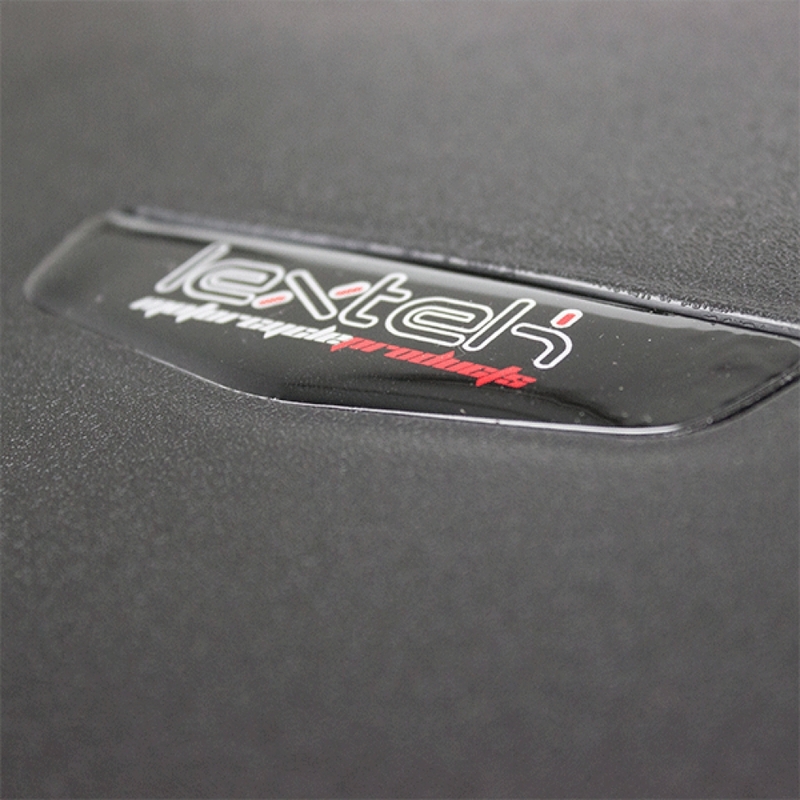 Product Features: Supplied in black with red reflector. 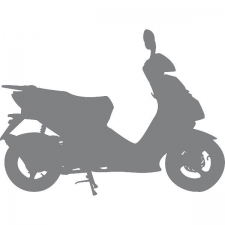 Enough space to hold two full face motorcycle helmets and additional luggage. very easy to fit & great price.